Nothing is Better Than Noble Vines Wine & JC’s Pie Bites! Want to know how I celebrated?? By treating myself to delicious truffle and wine pairings from JC’s and Noble Vines and let me tell you that they are DELICIOUS together AND separate! I especially LOVED the Noble Vines 242 Sauvignon Blanc + JC’s Key Lime Pie Bites. This medium-bodied Sauvignon Blanc has a bright acidity with hints of passion fruit and guava that deliciously balances the zesty lime flavors of these truffles. The Noble Vines 667 Pinot Noir pairs perfectly with the JC’s S’mores Pie Bites! This Pinot Noir showcases ripe Bing cherry, juicy plum and delicate hints of toasty oak, that delectably complements the toasted marshmallow and graham cracker crust of these truffles. And the Noble Vines 515 Rosé + JC’s Strawberry Cream Pie Bites is divine! This dry-style Rosé showcases flavors of grapefruit and strawberry culminating with a fresh creamy finish, making it a perfect match to these decedent strawberry truffles. 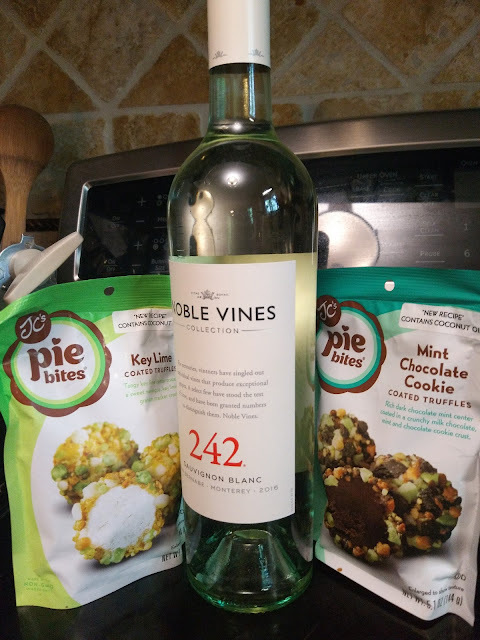 If you are looking to indulge, celebrate or cheer up a bad day, the pairing of JC's truffle bites and Noble Vines is a match made in heaven and will love it from the first sip and bite! You can purchase Noble Vines wine at your local spirits retailer. 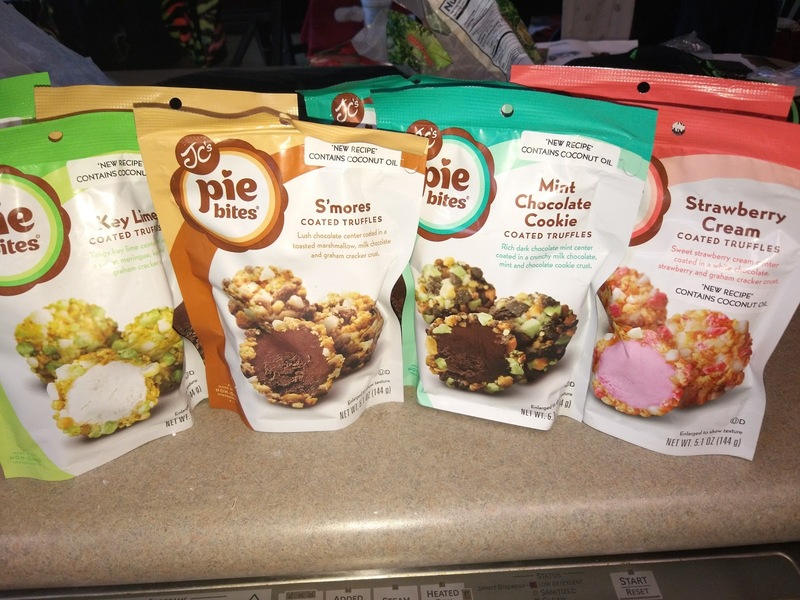 You can purchase JC's Pie Bites from your local retailer.